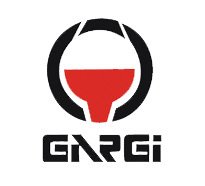 Welcome to Gargi-india.com (the "Site") and the Gargi community. We believe safeguarding your privacy online is important and we are committed protecting it in an appropriate manner. Take a moment to read about our policy on privacy protection and how it pertains to you. At Gargi-india.com, we know your number one concern is privacy. Therefore, we have tried to do everything we can to create an online shopping environment that makes you feel comfortable. We believe that we maintain the security and privacy standards you expect, so you can have the relaxed online shopping experience you deserve. We value your trust and recognize that your personal information is confidential. We collect several different types of information. On some pages you can order products, enter contests, answer surveys, express opinions, subscribe to one of our online services such as newsletters, or participate in one of our online forums or communities. The types of personally identifiable information that may be collected at these pages include: name, gender, age, zip code or address, e-mail address, telephone number, fax number and credit card information. From time to time, we may ask for other personal information, such as your interests, occupation or your preferences regarding various products, programs, and services. The more information you volunteer, the more we can enrich your experience at the Site. On certain pages of the Site, you can submit information about other people. For example, you might submit a friend's name and e-mail address if you wish to send an electronic greeting, or a friend's physical address if you order a gift online and wish to send it directly to the person. The types of personally identifiable information that may be collected about other people at these pages include: the recipient's name, address, e-mail address, and telephone number. Typically, when you visit our online store, you have the option to register with us to make your online shopping experience as easy as possible. While it is not necessary to register in order to shop, as a registered online shopper at Gargi-india.com you will enjoy exclusive online discounts and a simpler, faster checkout. We request the following personal information from you on our registration form: first and last name, billing/shipping address, telephone number, email address, username, password, password hint, credit card, and credit card number. This is the information we need to process your order. Your telephone number is required to complete the registration or order process, so that we can use it to contact you about your order if we need to. Your billing information is also used to ensure that the right person is charged for the merchandise ordered. In an effort to guard against fraud, we provide this information to EFTSecure for verification. In addition, we utilize PaymentTech as our third-party credit card processor. We request the same information on our order form upon checking out as we do on our registration page. Therefore, by completing the registration form upon your first visit, you can shop as often as you wish without ever having to re-enter your billing/shipping address or payment information. If you choose not to register as an online shopper, you must fill out your personal information each time you check out. We store your personal information and order history in a secure server and the information is available to you when you log in with your username and password. We also may collect certain personally identifiable information when you visit the Site such as the type of browser or operating system you are using on your computer, or the name of Internet service provider, or how you entered the Site and your pathway through the Site. We use a third party and third party software to verify and record a user's identity, address and/or credit card billing verification. This information is confidential and is held on a secure server to protect your privacy. First of all, we use a cookie so we can recognize you as a repeat customer each time you visit. This cookie allows us to retrieve your order history and personal information so you do not have to re-enter it every time you shop. This means you can store items, maintain your own address book and customize your user area. Another cookie lets us know what pages you visit as well as your browsing, shopping, and searching patterns. This enables us to identify ways to customize our online shopping environment to the preferences of our customers. How does Gargi use my personal information? Gargi uses the information you provide to personalize your online experience, which includes maintaining individual portfolios for your exclusive access. It also lets us better match on-site advertising and direct mail offers with your particular interests and structure future product offerings and product lines to your needs. Personal information is also used to allow us to arrange for delivery of prizes you win or products you purchase. What information does Gargi send from the Site? Special Offers and Updates We send all new members a welcoming email to verify password and username. Established members will occasionally receive information on products, services, special deals, and a newsletter. Out of respect for the privacy of our users we present the option to not receive these types of communications. Newsletter If a user wishes to subscribe to our newsletter, we ask for contact information such as name and email address. Out of respect for our users privacy we provide a way to opt-out of these communications. Direct Mailings We will send you occasional information about our various discounts, products and services, or other discounts, products and services we feel may be of interest to you. If you do not want to receive such mailings, you may email gargi@bom2.vsnl.net.in or call our customer services representatives and request to stop receiving undesired direct mailings. Does Gargi disclose any of my personal information? Personal information may be aggregated with that of other users and revealed to a third party advertiser or sponsor. The information revealed will never identify an individual Gargi-india.com member or provide any third party the ability to contact a member directly. Aggregated information will never contain names, e-mail addresses or mailing addresses, but may include gender, age, household income, occupation or state of residence. Gargi-india.com fully cooperates with law enforcement agencies working to identify those who may use our services for illegal activity. Therefore, we reserve the right to disclose information to law enforcement agencies about shoppers who we believe are violating our content guidelines or are involved in otherwise unlawful activities. You understand that we may comply with law enforcement requests or subpoenas regarding your use of the Site. Gargi is concerned with the safety of children when they use the Internet. In accordance with the Children's Online Privacy Protection Act of 1998, Gargi-india.com does not knowingly collect personal information from children under the age of 13. If we receive actual knowledge that a child under the age of thirteen has registered without her or his parent's or guardian's permission, we will remove all personal information about that person from our files. To prevent subsequent communication to a child under the age of 13, we may maintain a record of that person's name and address in a "do not contact" file. If a child has provided Gargi-india.com with personal information, we ask that a parent or guardian contact us to have that information deleted from our files. In a nutshell, we use your personal information to enhance or evaluate the online service you receive. We protect your information by storing it on our own secure web server and in a private database. It is the policy of Gargi to not share or sell this information except as noted above. If you do not want to receive our messages, you can opt out at any time. We value your privacy and we protect it.